Colorado Veterinarian Insurance. 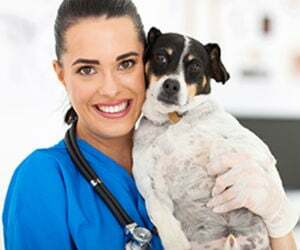 As a veterinarian, you face many of the same risks and potential liabilities faced in any medical profession, which makes it necessary to purchase sufficient insurance to cover any claims against you. A business owner's policy for vets makes a lot of sense because it gives your small business three separate coverage types to give your business a buffer of protection against unforeseen losses and claims. This type of policy can also be customized with additional coverage types and riders to meet specific needs you have in your particular practice. This is why Colorado veterinarian insurance is so important. Colorado veterinarian insurance protects your practice from lawsuits with rates as low as $37/mo. Get a fast quote and your certificate of insurance now. Who Needs Colorado Veterinarian Insurance? All small businesses, including your veterinary clinic, should carry a CO business owner's policy. In short, any small business that faces potential claims and lawsuits should consider buying the BOP policy at a minimum. Any business owner with assets to protect from damage, theft, or other loss should also buy this type of policy. 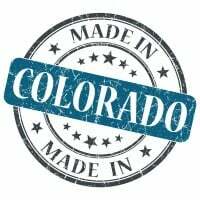 Request a free Colorado Veterinarian insurance quote in Akron, Alamosa, Arvada, Aspen, Ault, Aurora, Avon, Basalt, Bayfield, Bennett, Berthoud, Boulder, Breckenridge, Brighton, Broomfield, Brush, Buena Vista, Burlington, Carbondale, Castle Pines North, Castle Rock, Cañon City, Cedaredge, Centennial, Center, Cherry Hills Village, Colorado Springs, Columbine Valley, Commerce City, Cortez, Craig, Crested Butte, Cripple Creek, Dacono, Del Norte, Delta, Denver, Durango, Eagle, Eaton, Edgewater, Elizabeth, Englewood, Erie, Estes Park, Evans, Federal Heights, Firestone, Florence, Fort Collins, Fort Lupton, Fort Morgan, Fountain, Fowler, Fraser, Frederick, Frisco, Fruita, Georgetown, Gilcrest, Glendale, Glenwood Springs, Golden, Granby, Grand Junction, Greeley, Greenwood Village, Gunnison, Gypsum, Hayden, Holyoke, Hudson, Idaho Springs, Johnstown, Julesburg, Keenesburg, Kersey, Kremmling, La Junta, La Salle, Lafayette, Lakewood, Lamar, Las Animas, Leadville, Limon, Littleton, Lochbuie, Lone Tree, Longmont, Louisville, Loveland, Lyons, Mancos, Manitou Springs, Mead, Meeker, Milliken, Minturn, Monte Vista, Montrose, Monument, Mountain Village, Nederland, New Castle, Northglenn, Olathe, Orchard City, Ordway, Ouray, Pagosa Springs, Palisade, Palmer Lake, Paonia, Parachute, Parker, Platteville, Pueblo, Rangely, Rifle, Rocky Ford, Salida, Severance, Sheridan, Silt, Silverthorne, Snowmass Village, Springfield, Steamboat Springs, Sterling, Superior, Telluride, Thornton, Trinidad, Vail, Walsenburg, Wellington, Westminster, Wheat Ridge, Windsor, Woodland Park, Wray, Yuma and all other cities in CO - The Centennial State.